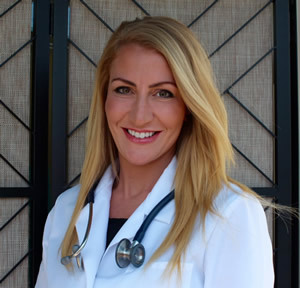 Dr. Cobler earned her doctorate degree in Chiropractic in 2010 at Logan College of Chiropractic. After graduating with her doctorate, she furthered her studies and earned a Master's degree in Sports Science and Rehabilitation. She completed her Master's residency program at Crane Clinic and Sports Medicine in Chesterfield, MO with a focus on regenerative therapies in orthopedics and utilization of bio cellular grafts with ultrasound guidance. Dr. Cobler specializes in the diagnosis and treatment of chronic pain and musculoskeletal injuries with a specialty in sports related injuries. She focuses on diagnosing the cause of the problem to put together an effective treatment plan to get you back to your normal lifestyle as quickly as possible. and live a healthier, more productive life. Dr. Cobler enjoys distance running, reading, baseball, foreign travel, practicing her Spanish, and spending time with her family. The ProAdjuster, simply put, helps you achieve maximum health for your body. Consider this ... your central nervous system controls every single function of your body. If the central nervous system isn't functioning properly, you feel pain in various areas of your body and bodily malfunction ensues. This results in diminished health and can dramatically interfere with your daily lifestyle. Expert Chiropractic care, using the Pro Adjuster, improves the performance and health of your nervous system by quickly, accurately, and painlessly diagnosing problem areas and correcting them. The Pro Adjuster, combined with other therapies in our clinic, is the foundation of an effective treatment plan that will have up and running, pain free, as quickly as possible. Spinal decompression therapy is a treatment to relieve pressure on the spine caused by disc disorders such as degenerative disc disease, posterior facet syndrome, including herniated, bulging or protruding discs and sciatica. 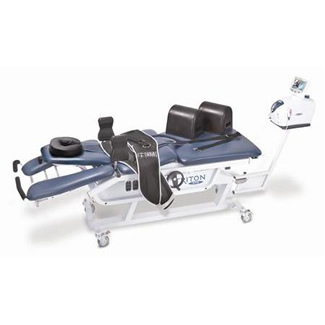 The process begins with the patient lying on a therapeutic table that is hooked up to a computer that sends electronic information to stretch and decompress the spinal structure. A padded harness is worn by the patient, and during the spinal decompression session, gentle force is applied to the spinal column, focusing on the area for treatment. This pressure is applied decompressing the spine, the intervertebral discs and the joints. The patient experiences multiple cycles of treatment. These cycles take between two to three minutes each. This pressure is what decompresses the intervertebral discs.